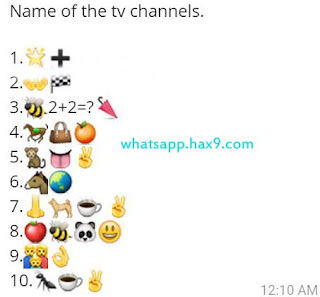 Name of the TV Channels from the given whatsapp Emojis / Emoticons / Smileys and give your answers in the comments. Name of the tv channels. Copy from the Google+ Comment below to copy with Emoticons and share it on Whatsapp.